HomeAviation and Aircraft VideosMemphis Belle Unveiling! 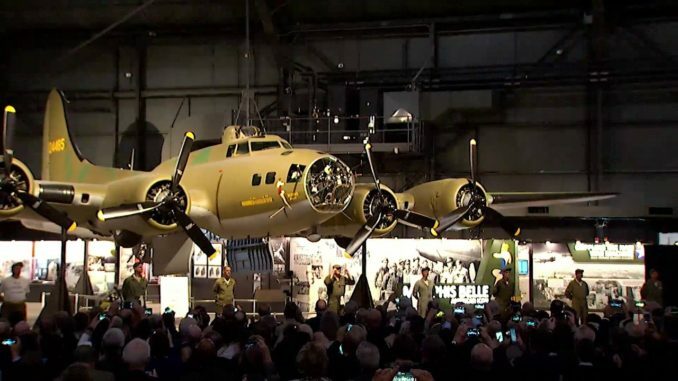 Published by the EAA staff who had attended the opening of the B-17F Memphis Belle exhibit, which honored the first heavy bomber aircraft and crew to complete 25 missions over Europe during WWII and return home to the U.S. The iconic aircraft was acquired by the National Museum of the U.S. Air Force in 2005 and had been in restoration prior to that time. The opening coincided with the 75th anniversary of the crew and airplane’s 25th mission. For all WWII aircraft and history buff’s. Enjoy!